So living overseas, I haven't been able to craft as much as I used to. Ruth and I went to a store called Crafty Woodcuts, and I just love the things that they create! The last time we went, I got three hearts and made a cute decoration that I can actually keep up all year long. This is now on my piano, and I love how they turned out! 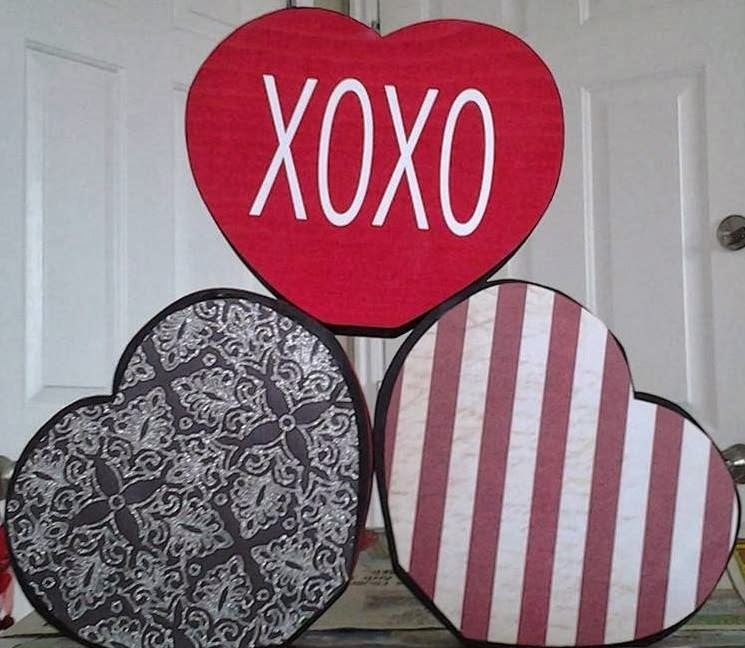 To get a 5% discount, I liked them on Facebook, and was notified that their Valentine's crafts were 25% off! I was super excited because I LOVED the "I heart U" and was hoping they'd still have one. They did! And I bought one, and made the above. I loved how they had theirs decorated, but I found the paper that is covering the heart at Joann's and the ribbon at Walmart. I ABSOLUTELY LOVE how this one turned out! 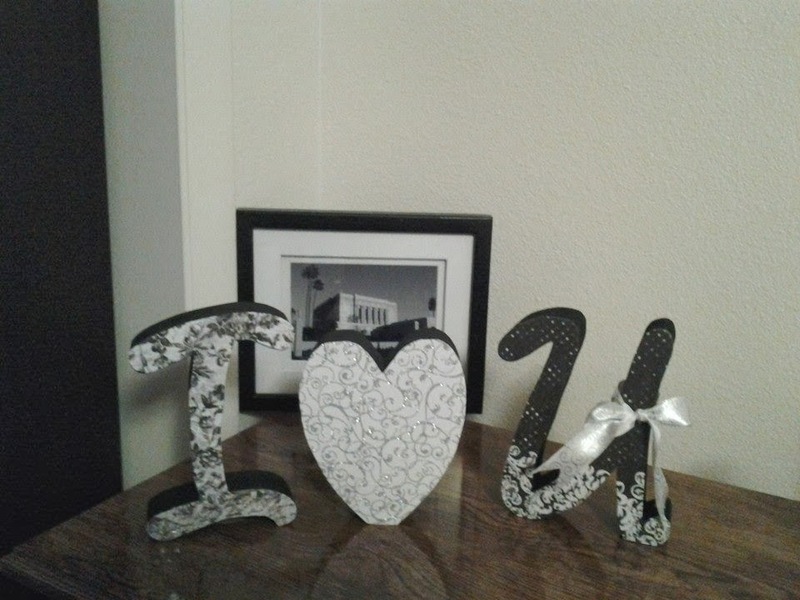 Even better than their display and it looks great on my dresser next to my black and white photo of the Mesa, Arizona Temple. This will also be keep up all year long. So for St. Patrick's Day, they had this shamrock. I love the way that it turned out. 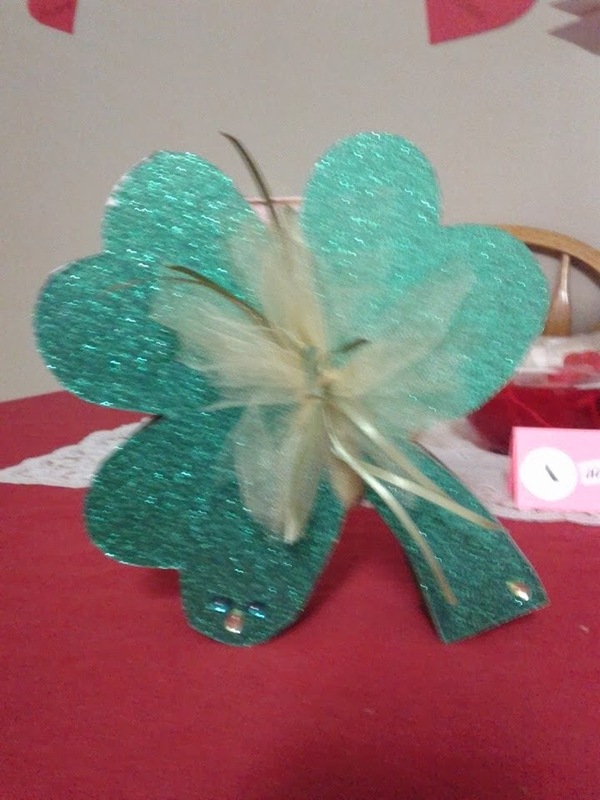 It will make such a cute decoration on my piano for St. Patrick's Day. I have to be careful, because I can imagine wanting lots of these cute decorations throughout the year. But I love the way they add a little bit of the "holidays" to my home.